git commit -am "Add feature A"
When the changes are accepted in the Diff, you can push the changes. 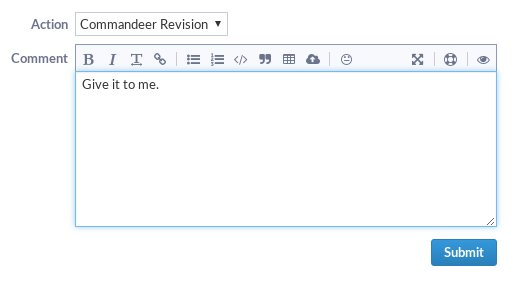 Only the reviewer of a Diff can land or update a Diff, if you want to take over, you'll have to add a comment on the web UI and add the Commandeer action. You can comment on a commit, "accept it" or "raise a concern"